Anterra’s has released Job Forecasting allowing project managers to enter forecasts to complete or forecast at complete. Users can build their own forecast entry grids to include information that will help them determine their final cost. Forecasts can be entered with notes and instantly update job profitability and WIP reports. Anterra offers the most powerful forecasting software available for the construction industry. 2017 Procore Groundbreak conference is being held in Austin, TX March 29-31. Anterra will be attending, meeting with customers and working with Procore in the development or our new data connector to allow you to build Procore dashboards that combine project management information from Procore with drill through cost, contract, commitment and labor information from Sage 300CRE / Timberline and Viewpoint software. Look up Anterra attendees in the Groundbreak mobile app or fill in the form at Contact Anterra if you would like to set up a meeting at the conference. Groundbreak conference information can be found here. Trademark Properties is a commercial real developer, owner, operator and investor of regional and outdoor malls, and mixed use properties. Anterra has eliminated spreadsheets in Trademark’s financial reporting. The time savings from getting the finance team out of spreadsheets has been invested in property analysis. Time to produce key financial reports has been reduced from weeks to seconds. With instant access to key property and financial information Trademark has significantly increased their ability to manage more properties with the same level of staff. HOUSTON, Nov. 7, 2012 – Anterra Technology, a strategic management and reporting software company to the construction and real estate industries, today announced that its customer, Georgiou, a growing a civil infrastructure, building construction and property development company with projects across Australia, has realized a significant competitive advantage from implementing Anterra’s Business Intelligence solutions. Georgiou, which employs nearly 1,000 people, recently decided that they needed to gain a deeper view into the financial metrics associated with each of their projects as well as their entire portfolio of work. Modern Niagara is a large commercial mechanical contractor with 11 companies in 7 locations. Modern Niagara provides heating ventilation and air conditioning installation and service to the commercial and institutional business sectors. Anterra provides daily project analysis in an easy to access format. Time to produce management reports, including WIP, has gone from hours to seconds. Having a single, accurate source of data has reduced staff meeting time and increased productivity. 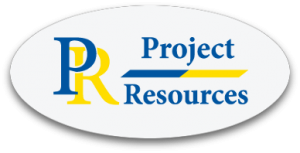 Project Resources is an excellent construction system consulting firm based in Atlanta, Georgia. They hosted a client conference October 3rd and 4th and offered 40 different sessions on construction technology, best practices and reporting. Clients attended mostly used Timberline (Sage) and ViewPoint construction software. Anterra presented 2 sessions on business intelligence and covered construction BI concepts, reporting best practices and how to evaluate reporting effectiveness. Please contact us if you would like the session presentation.